Sri Lanka is a treasure trove of bliss for explorers and keen observers seeking adventures in the wild, human habitat and the seas. You can of course enjoy the wonders of this isle of vibrant hues and sounds all-year around but some interesting festivities and wildlife gatherings take place during specific periods. Before you plan your next Sri Lankan expedition, take a look at this list of Sri Lanka’s ‘what’s on’ annual calendar. The slightly chilly month of January starts off with a festival of dance, music and veneration in Kelaniya. This Buddhist inspired pageant called ‘Duruthu Perahera Kelaniya’ is an annual parade organized by the ancient Buddhist temple, ‘Kelaniya Raja Maha Viharaya’. The coast of Galle gathers the country’s literature loving population to its lovely seaside glory in the second or the third week of January to celebrate the Galle Literary Festival. The festival brings together several world-renowned authors and publishers on to a single platform and lets literary enthusiasts to learn about writing, publishing and provides them a chance to meet their favorite authors and browse for books. The short and sweet February is the month in which the celebrated Gangaramaya Temple holds the ‘Nawam Perhahera’. The festivities wander through the streets of Colombo on moonlit nights led by a well-organized parade of dancers, drummers, exotically adorned elephants and various other artists. Nawam Perahera is a cultural pageant. The biggest cultural pageant of the year however, takes place in August. The Esala Perhera as it is known pays tribute to the joint traditions of Buddhist and Hindu heritages of Sri Lanka. The long procession of festive dance, acrobatic and musical items traverse the streets of Kandy in a glory of glowing hues and sounds. 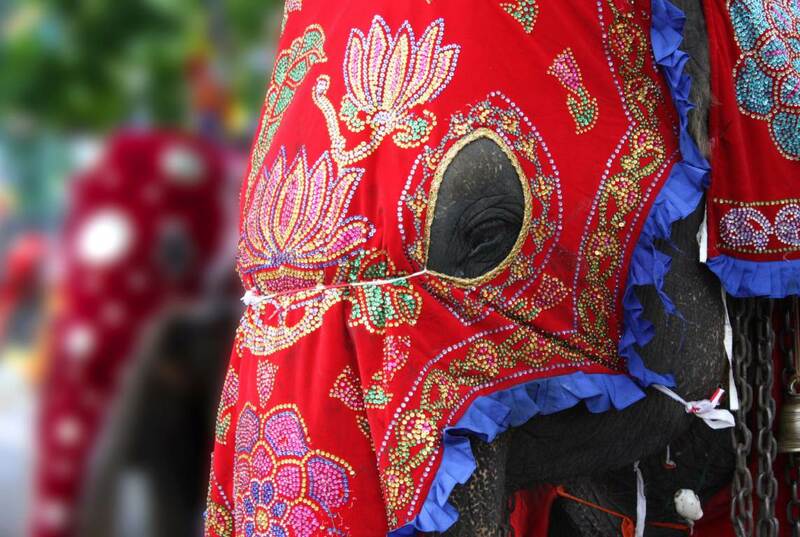 The drummers, fire throwers, energetic dancers and music from traditional instruments accompany the majestic elephants that wear bejeweled robes. 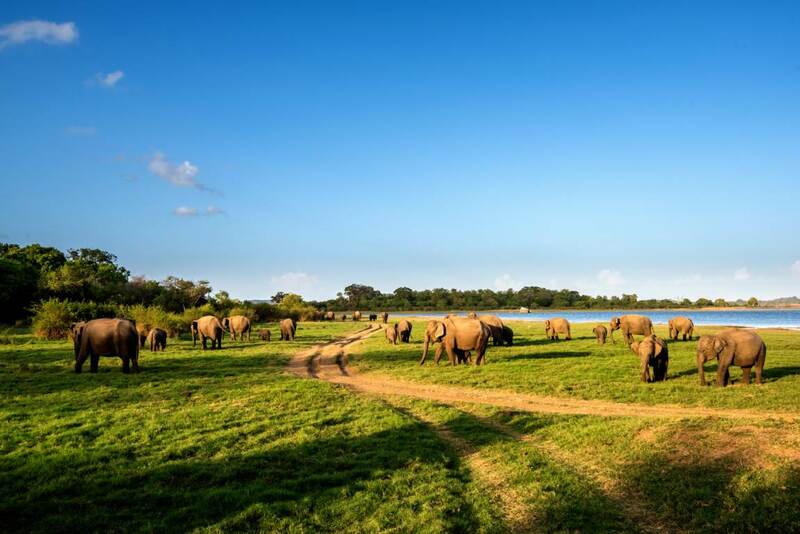 In the dry months of August to October hundreds of elephants gather around the serene banks of the Minneriya reservoir to graze on green grass and frolic in the waters. Miineriya is a water reservoir first commissioned and built by an ancient royal called King Mahasen. As the dry season advances the reservoirs retains water but the shoreline recedes in exposing fresh green grass to the eager mammals looking for a fresh meal. The shrubs and tall trees of the forest provide ample shade to the gentle giants during the hot hours of the day. This is probably the best place and time to observer the subtle social cues, behaviors and communication methods of elephants in Sri Lanka. 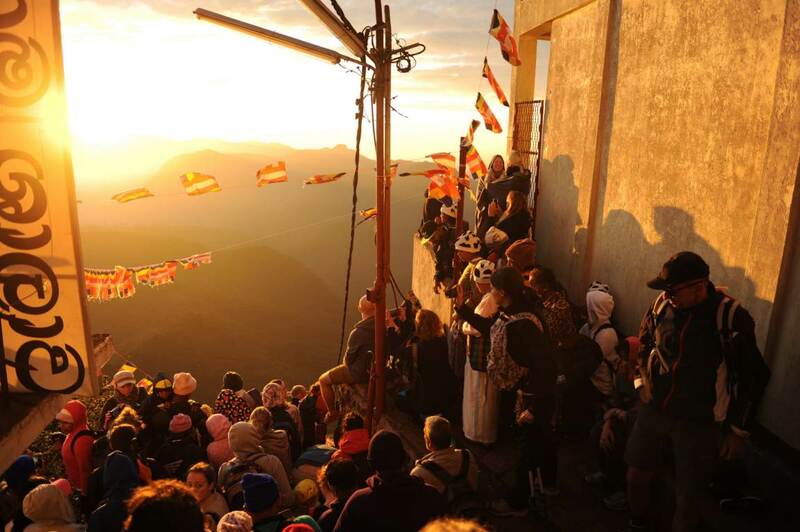 This is the peak season of Adam’s peak pilgrimages that take place annually. Adam’s peak is considered a scared site by Buddhists in Sri Lanka as they imagine Gautama Buddha left his footprint on top of the summit while Christians like to imagine the summit to be first place that Adam set foot upon being cast out of paradise. Some Hindu practitioners consider the peak to contain the footprint of Lord Shiva. A sacred site all in all, the grueling climb to the top is full of adventures, encounters with nature and even the supernatural as some claim. The view and the breathtaking sunset from atop are worth the while. The most poetic affiliation of Adam’s peak however is the belief that it is where the island’s butterflies go to meet death. The warm sea waters off the coast of Mirissa beckon majestic whales and frolicsome dolphins in to its territory through December to March. In Mirissa you can catch glimpses of blue whales, fin whales, bryde’s whales and even killer whales. As far as the frolics of dolphins go, Mirissa is home to bottle-nose dolphins, striped dolphins, common dolphins and spinner dolphins. Sometimes a flock of flying fish will hop, skip and jump across the ocean where whales mind their solitary business. Planning a trip? Send us an email on [email protected] and speak to one of our experts.